Can a Diamond Be Broken? We use our hands for nearly everything, so much so that the skin of our hands is actually thicker, allowing us to perform more tasks without hurting ourselves. If you’re wearing a ring, however, it may be enduring more strain than you realize. It gets twisted on your finger, run under hot and cold water, even knocked into a things regularly. That’s one of the reasons a diamond is an ideal stone for a ring: not only is it beautiful, but the diamond is one of the hardest natural substances on Earth. Does this mean your diamond can never be broken? Unfortunately, any gemstone can break if it’s hit in just the right way, or not cared for properly. Here are a few tips for recognizing a break in beautiful diamond jewelry–and what you can do about it if it happens to you! Hardness, or how easily it is scratched. Toughness, or how well it stands up to breakage or chipping. Stability, or how well it stands up to thermal changes, like temperature. 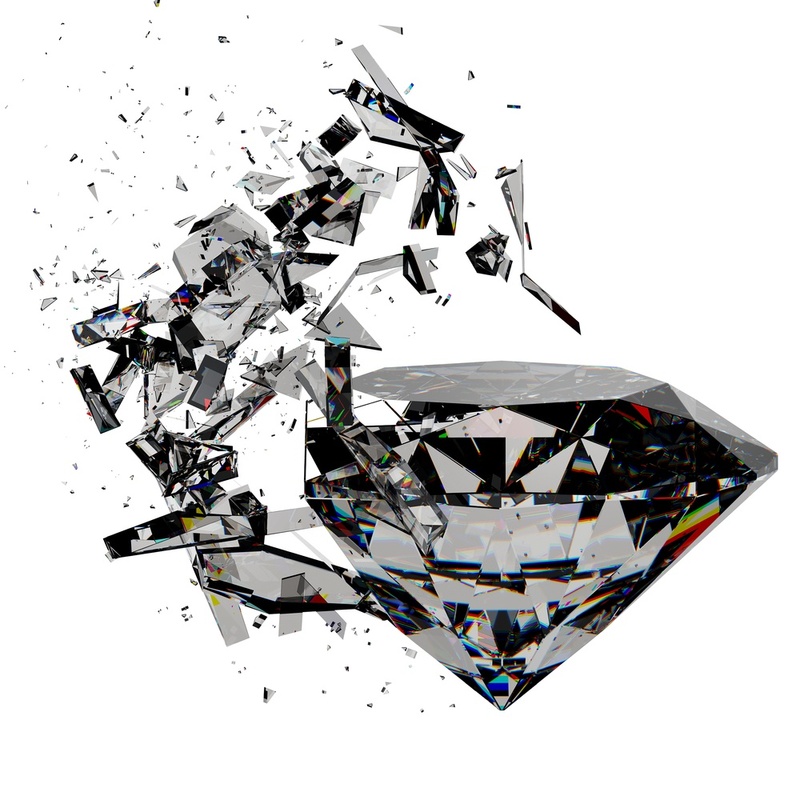 While diamonds triumph in hardness and stability, their toughness presents a vulnerability that, if the conditions are just right, can cause a diamond to break. Which conditions are “just right,” so you know to avoid them? Unfortunately, they’re not so easy to avoid. Diamond are vulnerable to chipping, fracturing, or even breaking apart along their cleavage lines. These are areas where the atoms are bonded less tightly together—so unless you’ve got a microscope handy, you won’t be able to see exactly where they are. Now, these cleavage lines aren’t cause for too much concern, because you aren’t often smashing things into your hand at great force. However, if something does hit your ring at the right angle on a cleavage line, you’re going to see a chip in that stone (and you’ll probably have a very sore hand). Thankfully, fixing a chipped diamond is easier than you might think. If you notice a scratch, a fracture, or even a chip broken off of your diamond, head into your jeweler as soon as you can. Once you’re there, you’ll have a few different options. 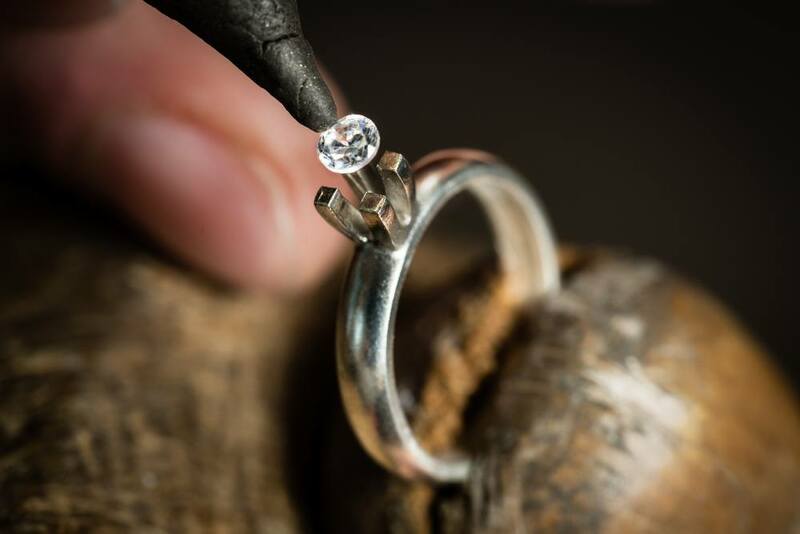 The first is to recut the stone; the jeweler will remove the broken section and reshape your diamond into the desired cut, then return it to you good as new. Of course, this does mean your diamond will be a little smaller than it was originally, but it will still retain the fire it always possessed. When a diamond is recut, it needs to be recertified. You may even find the value goes up if inclusions are removed or the symmetry and polish improve on the stone, but this is never guaranteed. You can also talk with your jeweler about resetting your stone to hide a small chip or insignificant damage. This is definitely the most cost effective method, but it does work best if the break in your ring is just beyond negligible. For example, if your ring is a round diamond, a jeweler can simply turn the stone so that the chipped area is hidden by a prong. Just like that, you’ve got a ring that looks pristine again! The final option is to replace your diamond. Obviously, there are other things to consider when exploring this option (like your budget, for example), but it can sometimes be the easiest way to fix a diamond that has a large fracture or has been damaged irreparably. No matter which option you choose, jewelry insurance is very important to protect yourself in these situations. Insurance will help you cover the cost of repairing or replacing a broken stone and can make an understandably stressful situation much, much easier on you. 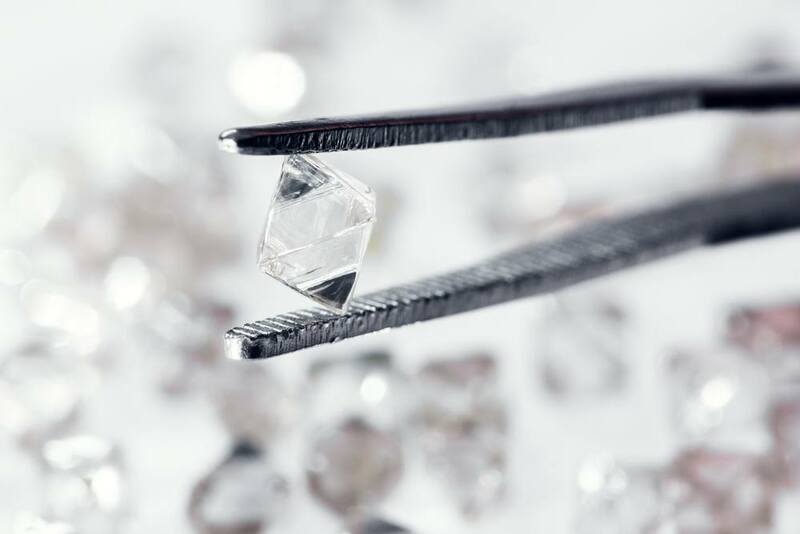 Although diamonds are incredibly durable, and can withstand a tremendous amount of wear and tear, accidents can happen. But if they do, always remember that there is a way to make your gorgeous ring look as stunning as ever—it just takes a little professional expertise!